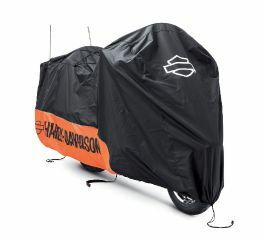 Keep your bike and its detachables safely stored all year round with Harley-Davidson garage storage solutions. 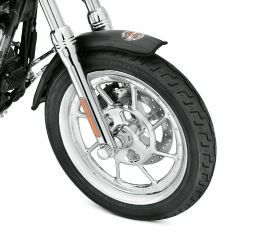 An H-D wheel chock keeps your bike upright, while the Detach Depot wall storage rack keeps your Tour-Pak, backrest, and windshield safely stowed. 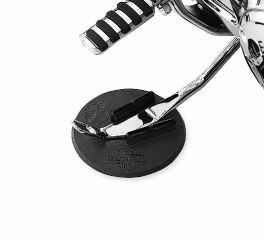 Proudly display your collection of helmets. 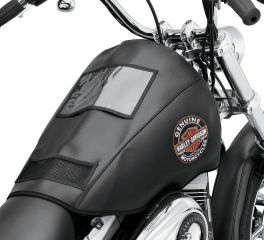 Harley-Davidson® Helmet Hangers keep your expensive helmet safe and out of the way. 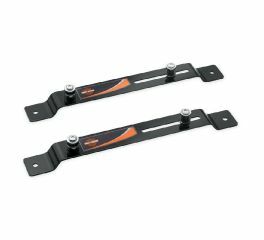 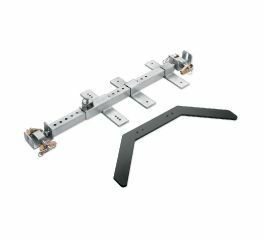 This heavy-duty plated steel kit secures the Cruiser Cradle Wheel Chock to standard E-Track on any trailer platform, whether the E-Track is above the floor, recessed, or flush-mounted. 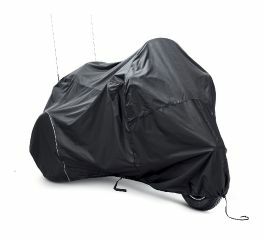 Protect your fairing lowers when they are removed for hot weather riding. 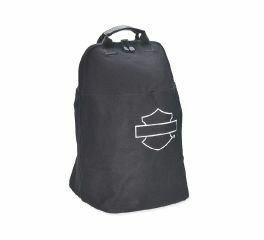 This bag is constructed of breathable cotton material and is designed for a scratch-free storage area. 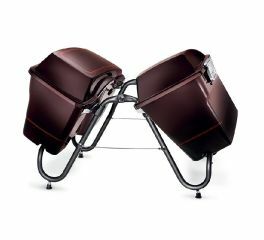 Never set your saddlebags on the ground again. 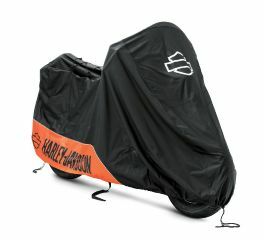 This convenient folding rack holds Touring hard saddlebags while you wash or work on your bike, and utilizes the bag's quarter-turn quick-disconnect fasteners to securely lock them in place. 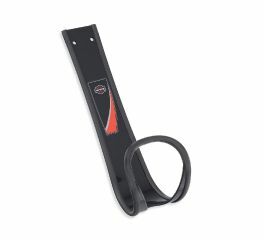 Designed for use beneath the jiffy stand, this polypropylene coaster prevents the stand from sinking into soft surfaces such as dirt, asphalt, and grass. 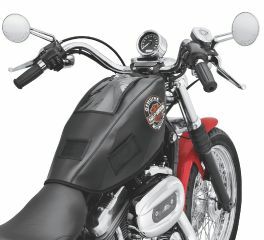 Protect the finish on your tank while performing routine service on your motorcycle. 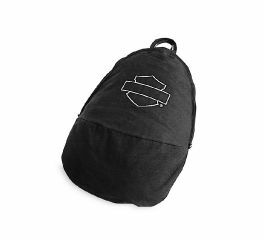 These custom shaped covers feature an easy-to-clean black vinyl outer surface and a soft non-abrasive fleece inner liner. 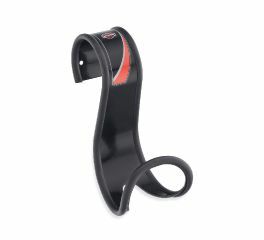 Protect the finish on your fender while performing routine service on your motorcycle. 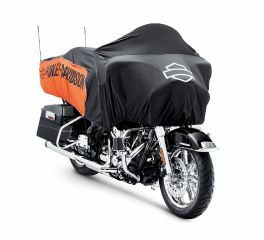 This custom shaped cover features an easy-to-clean black vinyl outer surface and a soft non-abrasive fleece inner liner. 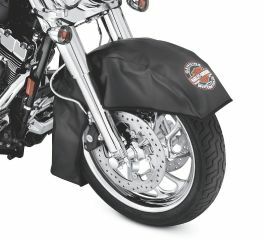 Protect the finish on your tank while performing routine service on your motorcycle. 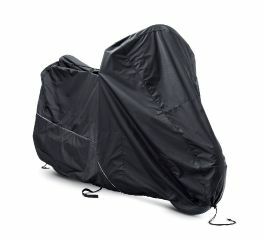 This custom shaped cover features an easy-to-clean black vinyl outer surface and a soft non-abrasive fleece inner liner. 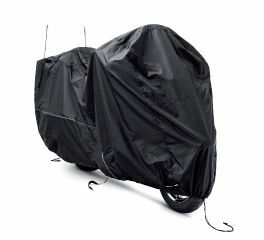 Saddlebag depot provides a secure and off-the-floor storage solution. 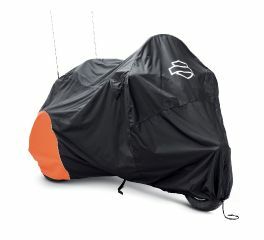 The Oasis Day Cover features black and orange water repellent fabric that dries quickly for a quick getaway.